The Housing Futures study, published on the 8th, makes a series of recommendations to maximise the potential of community-led housing and ensure it can contribute towards achieving a more progressive, democratic and inclusive housing system. Examples of successful community-led housing projects include: The Turner Prize-winning Granby 4 Streets in the Toxteth area of Liverpool, which followed a long-term campaign by residents against disinvestment and neglect by authorities; and Homes for Change in the Hulme area of Manchester. 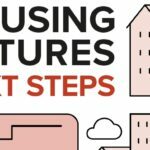 The report by Housing Futures — a research partnership bringing together academics from the University of Sheffield’s Urban Institute and members of the Greater Manchester co-operative and housing movement — explores what community-led housing may have to offer low income urban neighbourhoods within the Greater Manchester city region. The report — Housing Futures: What can community-led housing achieve for Greater Manchester? — found that community-led housing is more likely to generate positive social welfare and democratic gains when communities take a leadership role from the beginning of schemes and are properly involved in their implementation and governance. It found that community-led housing projects for low-income communities in Greater Manchester can only be achieved with appropriate forms of investment, support and popular mobilisation, which provide for long-term processes of collaboration and development. This means that access to land, finance and technical development support are critical and there is an urgent need to stall the large-scale privatisation of public land across the city region and make more land available for community control. The report, which has been co-produced by Dr Richard Goulding in partnership with a steering group of community-led housing practitioners and activists, recommends that establishing a new independent Greater Manchester enabling hub for community-led housing, with strong collaborative relationships with the Combined Authority and the ten local Greater Manchester authorities, will be crucial to promote a strong and effective community-led housing sector. “In a de-industrialised city region with some of the highest poverty rates, the new enabling hub should have an explicit focus on promoting access to affordable community led housing for people of low incomes,” says the report. To be a credible and accountable voice for the sector, an enabling hub should be independent from government.